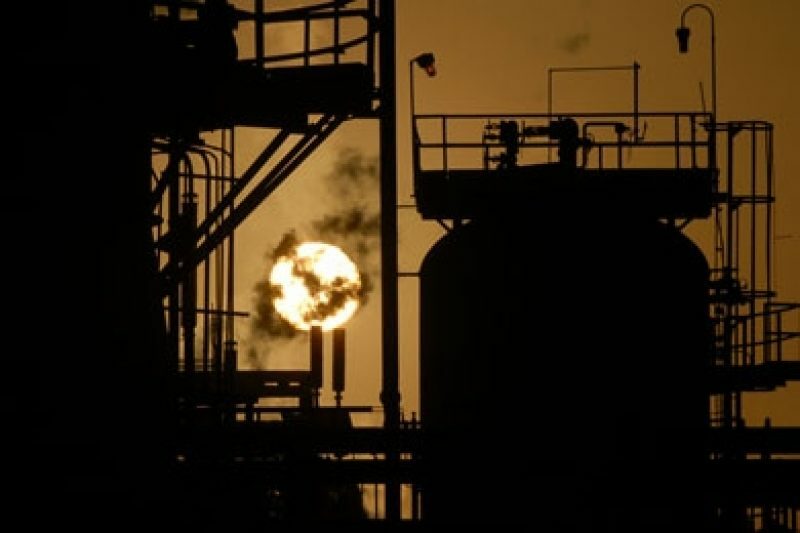 In 2015, Neela Banerjee, John H. Cushman Jr., David Hasemyer and Lisa Song of Inside Climate News spent close to a year producing “Exxon: The Road Not Taken” -- a comprehensive portrait of four decades of the oil giant’s relationship with climate science. The reporting showed, among other things, how Exxon lobbied against action on greenhouse gases. Three staffers won the Pulitzer Prize for national reporting in 2013 for "The Dilbit Disaster: Inside the Biggest Oil Spill You've Never Heard Of," which revealed safety issues related to a 2010 spill of Canadian tar sands oil into the Kalamazoo River and broadened into a national investigation. We spoke with Banerjee this week about the genesis and impact of the Exxon project, which to this day tracks new developments. The reporting has even spawned an enduring hashtag, #ExxonKnew. What happened was that we were talking to people who'd been at a range of companies, BP, Peabody, The American Petroleum Institute, Exxon, Shell. The waterfront at that time was very, very broad. Then one of my colleagues in California, David Hasemyer, spoke to some government scientists who mentioned that Exxon had done peer-reviewed research on climate change, with academics, in the 1980s. All of a sudden, Exxon became more interesting because the clock went back from the middle of the '90s, when we expected, to the middle of the '80s, and that was also before the general public knew about climate change. From there, we started digging, and we came across a document that talked of this research that had been done on an Exxon tanker measuring carbon dioxide in the atmosphere in the oceans. All of a sudden, Exxon, through our research, ended up separating itself from the pack because it was doing its research much earlier, and then all of a sudden we found that it was deploying its own tankers, its own resources, to do very serious in-house empirical research. As somebody who's been doing this for a while, that is the big struggle. We were very surprised with the Exxon series, the way it resonated. Even when I was working on it, I felt very fulfilled as a reporter, very fortunate that we were able to obtain these documents and that they made sense and that people we were speaking to ... Documents are only one part of it. You speak to people, and they flesh it out, and they give you context. People don't like to feel like they've been misled. Now, I'm not saying that Exxon misled anybody, but Exxon had this one image of being very skeptical about climate science. To go back to their past and see that they weren't and that, in fact, they felt like the best way to have a sane policy making was to do really good research and to be taken seriously as a voice in policy making, because they had the science down cold, and they were participating in it, that was something that none of us expected. We didn't expect for that research to have started in the '70s. We thought maybe in the '90s or something, which would have been the same as some of the European majors, and we certainly didn't expect the ambition and the real sincere desire to use science as a way of having a voice at the table. I think it's that saga, it's those stories that capture people's attention. Scientists themselves have told me the same thing, that it's stories that capture people's attention. It was very fulfilling as a reporter, but I remember having my head down, working on this stuff, and thinking, "Well, about two dozen climate activists and scientists are going to be up in arms about this, and they're going to think it's terrible, and then we will move on," because you've seen so much good work, not just on climate, but all sorts of other issues that get people to sit up and take notice. They're absolutely outraged, and then they move on because there's so many things that are pulling at your attention. The fact that it resonated the way it did was pretty striking. Listen to this podcast on iTunes, SoundCloud or Stitcher. For more, read the Inside Climate News series "Exxon: The Road Not Taken."